This year, prepare to be scared! We’re celebrating our new Library by transforming it into a haunted house! Older kids who don’t mind a bit of a fright can brave the haunted maze. 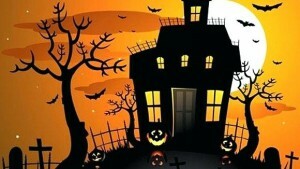 We’ll also have Halloween crafts and activities for our younger or more timid guests. Costumes encouraged!